Very Very Vicky: We Have A Plan! 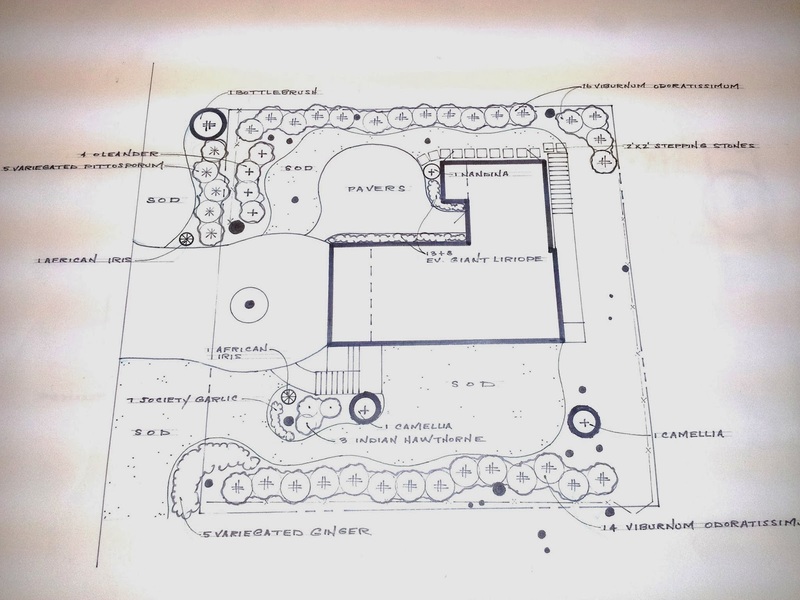 It's time to landscape the yard at Doc Holiday cottage and thankfully I have a brother, Bill Griffin, a landscape architect in Savannah, who can help. He and his crew from Griffin Landscape Design and Contracting did an amazing job at The Coral Cottage and it made a huge difference! You can see the Before and Afters here. Oleanders--they are so beachy and have a long-lasting blooming season. Bill's suggestion--make a place to hide the trashcans when they are not curbside for pick up. The front of the house is facing left.